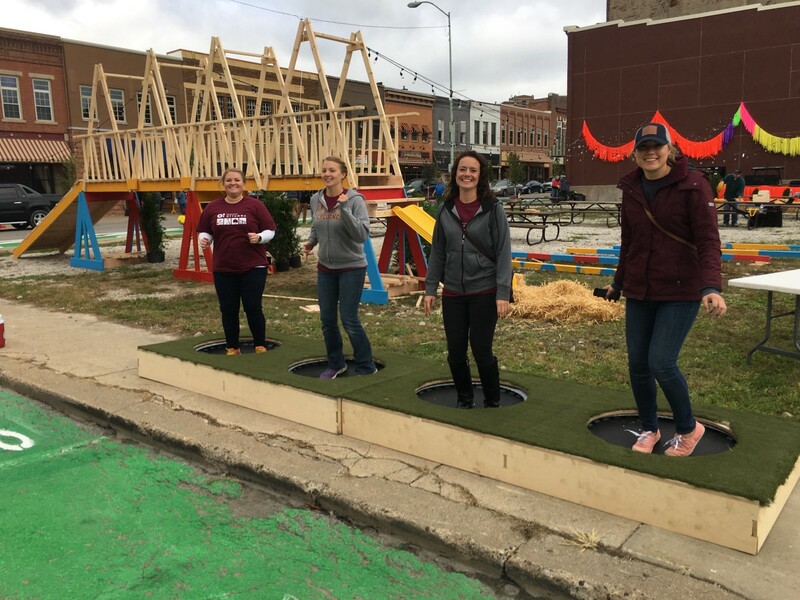 volunteers build a temporary playground in October in downtown Ottumwa. What if a new playground popped up downtown? What if there was a new bagel shop and an outdoor stage for concerts? And what if somebody spiffed up an old brick building with a mural? More than 100 volunteers turned those “what ifs” into reality during an 8-hour blitz last fall in Ottumwa. The so-called “Better Block” makeover was part of a program that is catching on statewide, as community leaders try to shift from endless planning to actual doing. The Better Block Project’s founder, Jason Roberts, plans to discuss his work at noon April 10 at the State Historical Museum of Iowa, as part of the Tomorrow Plan Speakers Series. Before the talk, State Curator Leo Landis will share some examples of similar community-building projects in local history, including a settlement house on Des Moines’ east side. “The whole idea of Better Block is kind of like the Nike motto: ‘Just do it,’ ” said Brad Grefe, a senior planner with the Area 15 Regional Planning Commission, which serves a six-county area that includes Ottumwa. The Texas-based Better Block Foundation recent sent five of its team members to the southeast Iowa community to train local leaders and 70-some Main Street Iowa directors from across the state how to quickly brainstorm and build a handful of high-impact, low-cost projects in the city’s historic downtown. Together they installed several temporary projects to help residents re-imagine the area’s potential. improvement day in October in downtown Ottumwa. 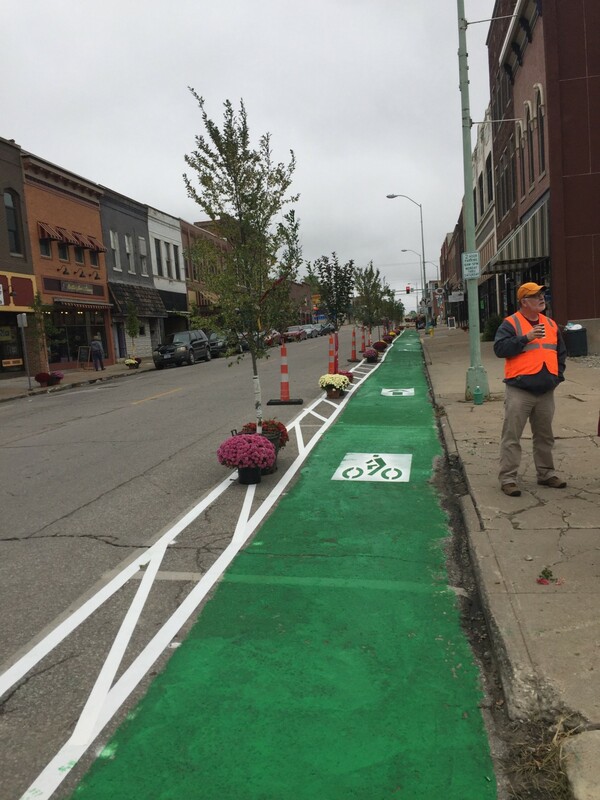 With the city’s blessing, the volunteers painted a temporary bike lane to connect downtown to the trails along the Des Moines River. They built a small amphitheater in an empty lot and hosted a weekend music festival. They carved out space for four pop-up businesses, including a clothing boutique, a massage therapy spot, and a Nerf gun arena. In the last two months, the pop-up bagel shop has taken on a new life on Facebook, where its owners take orders, posts photos of new flavors, and are scouting around for a permanent brick-and-mortar home. “Your response has been overwhelming, and we cannot thank you enough for your support! Thank you for helping us chase this crazy dream,” Blaine’s Bagels co-owners Blaine and Danielle Rupe wrote on their Facebook in November. The Better Block building boom also included a small playground, a prototype built from plywood. Grefe, the regional planner, said it’s already attracted many young families who rarely venture downtown. 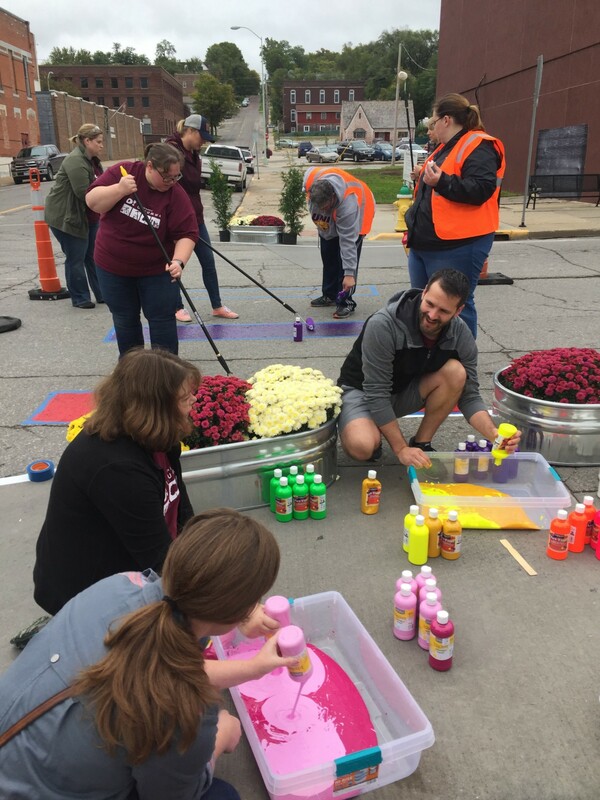 community-building day in October in downtown Ottumwa. Bridging that imagination gap is one reason the Better Block program encourages communities to invite local artists to participate in the process, especially in the early stages. One thing you don’t need is a lot of money. Better Block’s proponents say the program can scale up or down, depending on the size of the community and its resources. The program’s mantra is “lighter, quicker, cheaper,” said Michael Wagler, who leads Main Street Iowa, a program of the Iowa Economic Development Authority. Already, he is encouraged by the results. 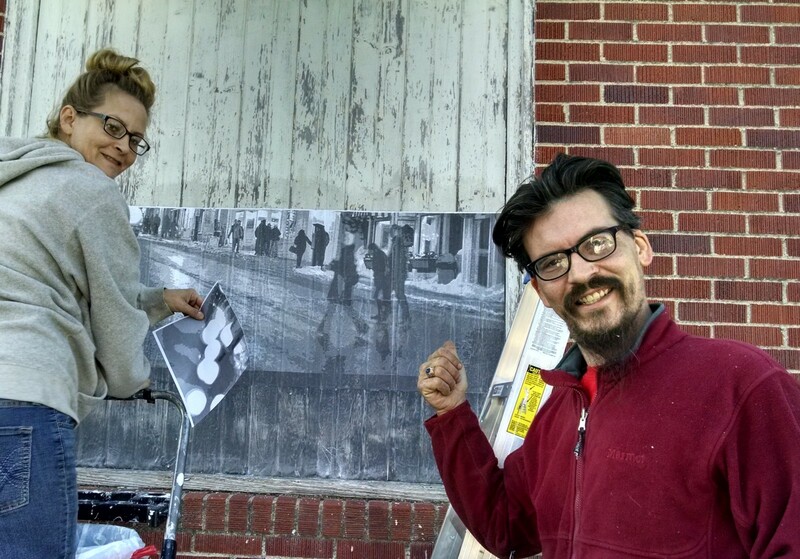 Leaders in Ellsworth, near Webster City, recently followed Ottumwa’s lead and pasted enlarged photos from the town’s early days over the boarded-up windows of an abandoned building. Wagler has also heard chatter about other Better Block projects that may pop up later this year. Better Block founder Jason Roberts’ upcoming Tomorrow Plan talk in Des Moines kicks off a Better Block training tour to five different Iowa communities, in Cedar Rapids, Dubuque, Fort Dodge, Greenfield, and Keokuk. But training is one thing. Results are another. State Historical Society of Iowa. Preserving and providing access to Iowa History.